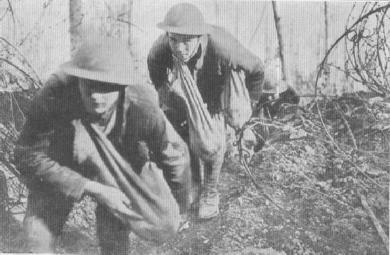 THEY ENTER THE DRAMA OF THE AGES168th Infantry, coming over the top with sacks of hand grenades, Badonviller, March 17, 1918. 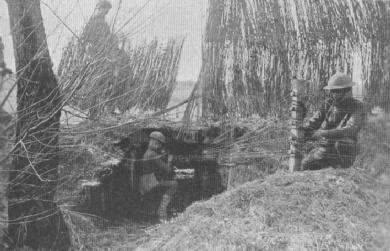 CONTACT WITH THE FRONT117th Field Battalion Signal Corps, Companies B and C installing telephone lines to front line trenches by way of old culvert. Montigny, March 12, 1918. 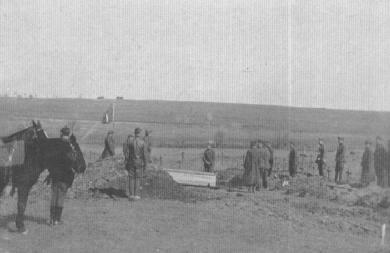 A GOLD STAR FOR MOTHERBurying an American soldier behind the lines, Menil-la-Tour, March 14, 1918.